Morris Claiborne takes part in drills at the scouting combine. At first glance corner back does not look like the Jaguars’ biggest need at this year’s draft however when you look at Morris Claiborne it may give them their biggest reward. After an outstanding performance at the scouting combine in Indianapolis, LSU’s Morris Claiborne cemented himself as the top defensive back available in the draft and surely the top player on the Jaguars wish list come April. Claiborne is a true shut down corner and excels at man to man coverage. Whilst not a physical corner in the mould of mentor ,and former LSU standout, Patrick Peterson, Claiborne describes himself as a technician, trying to funnel guys than really get physical with them at the line. In his junior season at LSU Claiborne finished with 51 tackles and 6 interceptions as his LSU Tigers made it all the way to the BCS title game. NFL Network’s Mike Mayock describes Claiborne as a rare guy that can play pretty much any scheme and every cover. If there was a negative to be found on Claiborne at the combine it was his comparatively slow 4.5 second 40 yard dash, but he made up for that with his performance in the rest of the positional drills. The Jaguars finished 8th in the NFL in total passing yards allowed and 13th in interceptions and whilst not a primary need corner back is a position the Jaguars need to address in the off-season. Both starting corner backs Rashean Mathis and Derek Cox are coming off season ending injuries in 2011 and Mathis is also currently a free agent. Both Mathis and the Jaguars have expressed an interest in him returning. But at the age of 32, and coming off a serious knee injury he cannot be relied on to be the staple of the Jaguars secondary. 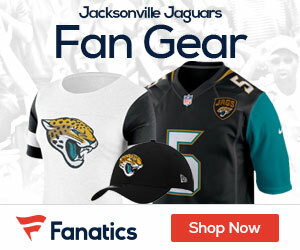 The Jaguars have the seventh overall pick in April’s draft and most project that Claiborne will be selected fifth overall by the Tampa Bay Buccaneers. However there is a strong chance he could fall to the Jaguars. Claiborne has a unique, highly talented skill set and a humble attitude but he doesn’t lack in confidence. 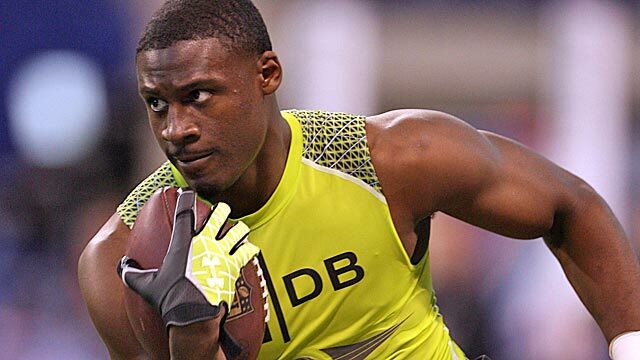 Claiborne certainly makes the Jaguars better and he should be the top player on the Jaguars board in April’s draft.